Everyone has a purpose. And, according to Oprah Winfrey, "Your real job in life is to figure out as soon as possible what that is, who you are meant to be, and begin to honor your calling in the best way possible." 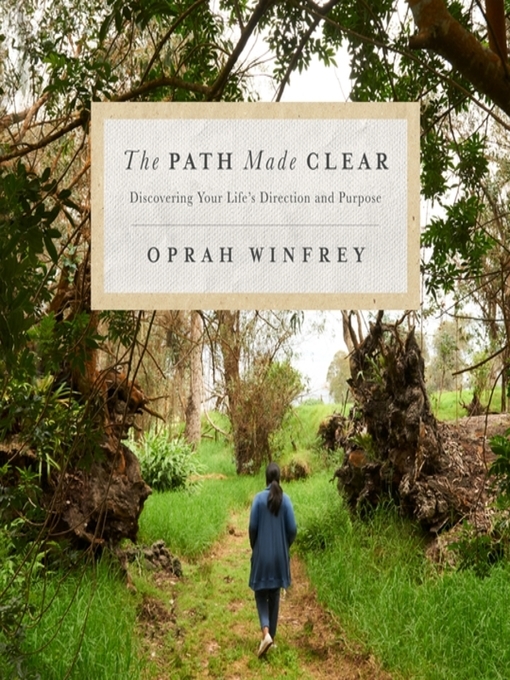 In her latest audiobook, The Path Made Clear, Oprah shares what she sees as a guide for activating your deepest vision of yourself, offering the framework for creating not just a life of success, but one of significance. The audiobook's ten chapters are organized to help you recognize the important milestones along the road to self-discovery, laying out what you really need in order to achieve personal contentment, and what life's detours are there to teach us. Oprah opens each chapter by sharing her own key lessons and the personal stories that helped set the course for her best life. She then brings together wisdom and insights from luminaries in a wide array of fields, inspiring listeners to consider what they're meant to do in the world and how to pursue it with passion and focus. These renowned figures share the greatest lessons from their own journeys toward a life filled with purpose. The Path Made Clear provides listeners with a valuable resource for achieving a life lived in service of your calling – whatever it may be. This program is read by Adyashanti, Alanis Morrissette, Amy Purdy, Barbara Brown Taylor, Bishop T. D. Jakes, Brene Brown, Brian Grazer, Brother David Steindl-rast, Bryan Stevenson, Carole Bayer Sager, Caroline Myss, Charles Eisenstein, Cheryl Strayed, Cicely Tyson, Cindy Crawford, Dani Shapiro, Daniel Pink, David Brooks, Debbie Ford, Deepak Chopra, Dr. Shefali Tsabary, Eckhart Tolle, Elizabeth Gilbert, Elizabeth Lesser, Ellen Degeneres, Fr. Richard Rohr, Gabrielle Bernstein, Gary Zukav, Glennon Doyle, Goldie Hawn, India.Arie, Iyanla Vanzant, Jack Canfield, Jane Fonda, Janet Mock, Jay-Z, Jean Houston, Jeff Weiner, Vice President Joe Biden, Joel Osteen, U.S. Congressman John Lewis, Jon Bon Jovi, Jon Kabat-Zinn, Jordan Peele, Kerry Washington, Lin-Manuel Miranda, Lynne Twist, Marianne Williamson, Mark Nepo, Michael Bernard Beckwith, Michael Singer, Mindy Kaling, Mitch Albom, Nate Berkus, Pastor A. R. Bernard, Pema Chodron, President Jimmy Carter, Rev. Ed Bacon, Rob Bell, Robin Roberts, RuPaul Charles, Sarah Ban Breathnach, Shauna Niequist, Shawn Achor, Shonda Rhimes, Sidney Poitier, Sister Joan Chittister, Stephen Colbert, Sue Monk Kidd, Bishop T. D. Jakes, Thich Nhat Hanh, Thomas Moore, Tim Storey, Tracey Jackson, Tracy McMillan, Tracy Morgan, Trevor Noah, Wes Moore, William Paul Young, and Wintley Phipps.